A part of the Bangalore-based artist duo Pors & Rao, Aparna Rao works with electro-mechanical systems and interactive installations. With the clever use of technology, Aparna creates art installations that let people experience familiar objects and interactions in refreshingly humorous ways. Her work encourages participation rather than spectatorship. By combining high-tech and high-art, she imbues her creations with playful expression and quirky behaviours. 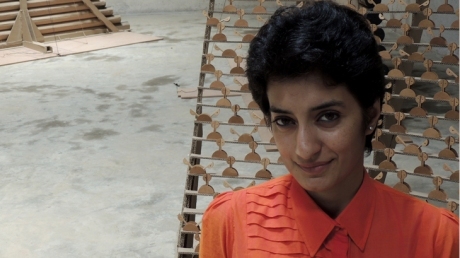 Rao studied at the National Institute of Design in Ahmedabad, India, and at Interaction Design Institute in Italy. In 2005 she partnered with Soren Pors and they’ve worked in collaboration ever since as Pors & Rao.